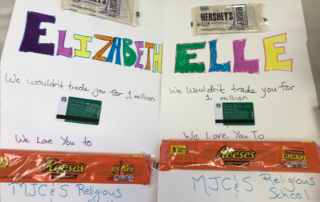 Religious school at MJCS is an engaging, friendly, and safe place for students to celebrate their heritage. 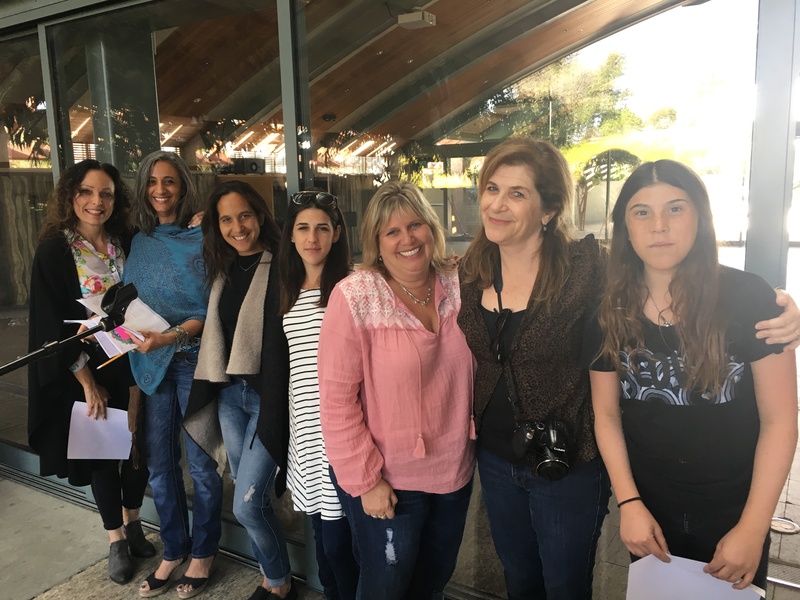 We encourage our students to develop positive feelings toward history and Israel, to grow spiritually, to build a sense of pride in Judaism, and to engage in tikkun olam–repairing the world–in partnership with God. 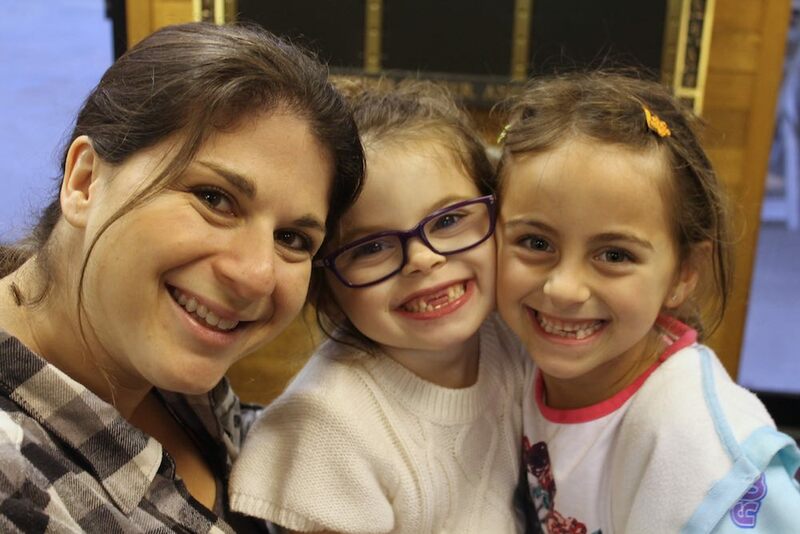 We also want our young people to feel comfortable in any synagogue, to have the skills and knowledge to perform mitzvot, and to be guided throughout their lives by the values learned from Torah and our evolving tradition. 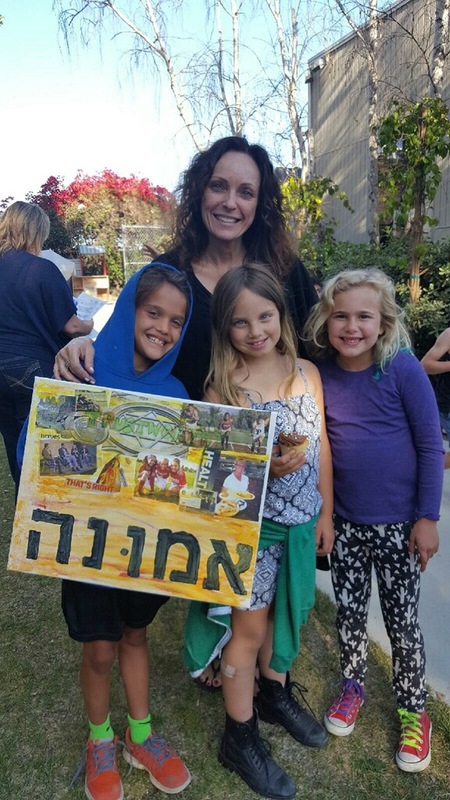 We have a fabulous B’nai Mitzvah program, allowing the kids to celebrate their Jewish heritage and this important milestone. The kids begin the process as early as Kindergarten, introducing them to the beauty and meaning behind this tradition. 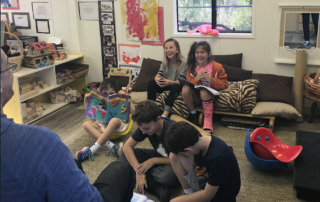 Our religious school serves families with students in kindergarten through Madrichim age (post B’nai Mitzvah, 12 – 18 years old.). We focus on experiential learning, with time set aside for music and singing, prayer, and text study. Children also study Hebrew so that by the time they reach bar or bat mitzvah, they are able to read the prayers as well as the Torah portion. Students have opportunities to implement their learning and values by engaging in the community and leading us in services. 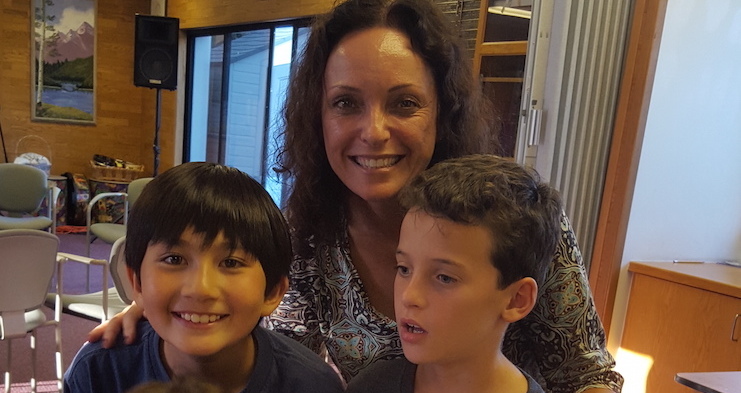 Our older students continue with the tutoring program and have the opportunity to deepen their Hebrew tefilah and conversation skills. 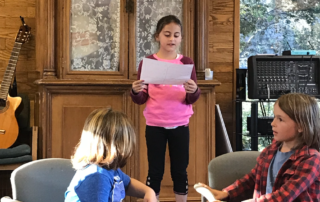 Text studies in the upper grades include primary source reading as well as in-depth analysis of each student’s personal connection to the material. 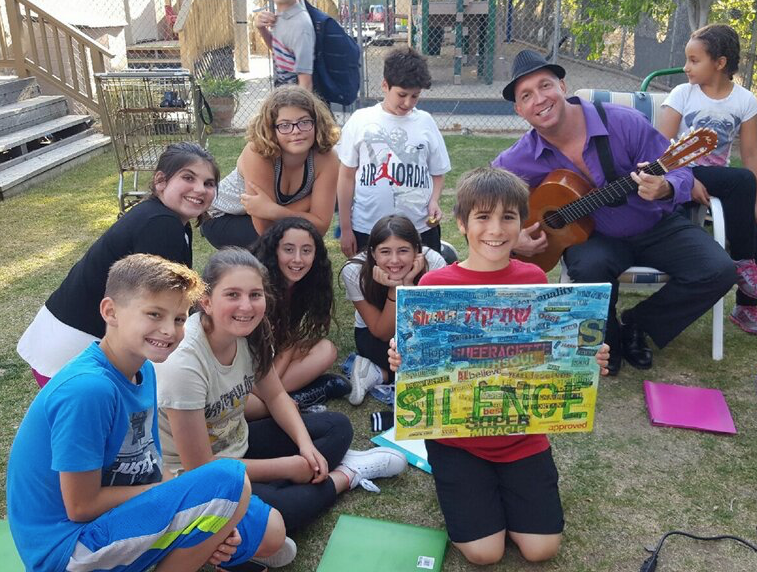 We challenge our students to define their roles in the world as Jews, as Americans, and as partners in tikkun olam. 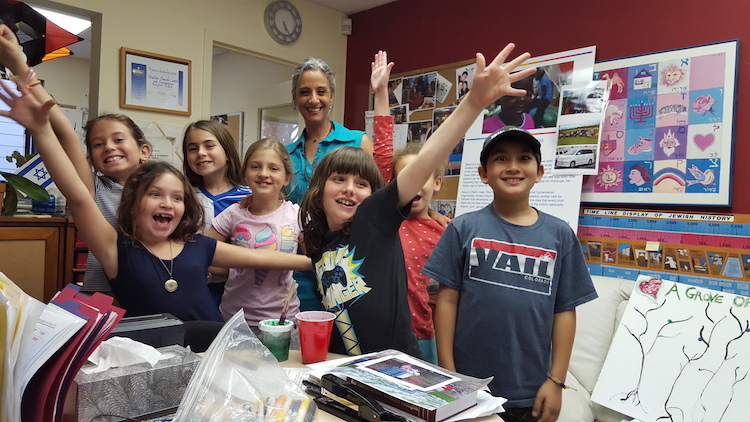 Learning Hebrew with teacher Gil can be so much fun! 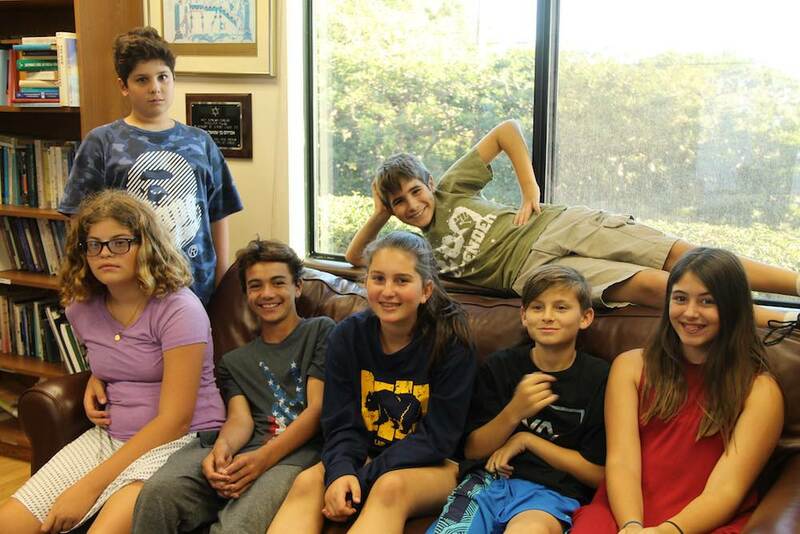 This class studies the holidays and life cycle of Judaism. Along with this comes knowledge of basic Shabbat and holiday blessings, symbols, customs and traditions. There is also an introduction to Torah, via personalities and events that occurred. 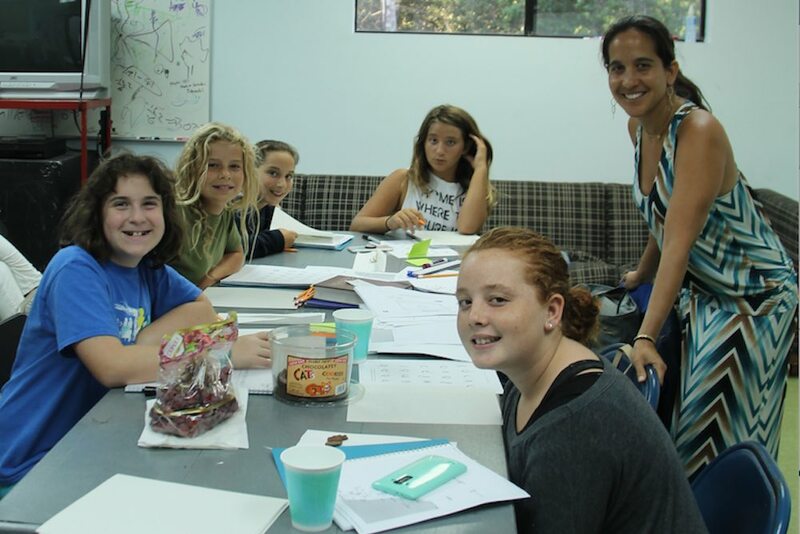 Their Hebrew education begins with introduction of the Aleph Bet, basic Hebrew vocabulary and learning to write their Hebrew names. 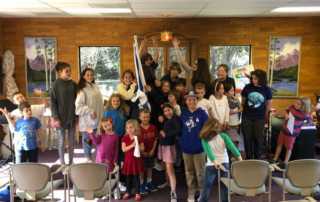 Finally, there is a big emphasis on Tikkun Olam and Middot, along with a mitzvah practice. In second grade, the kids learn about the synagogue and her symbols. 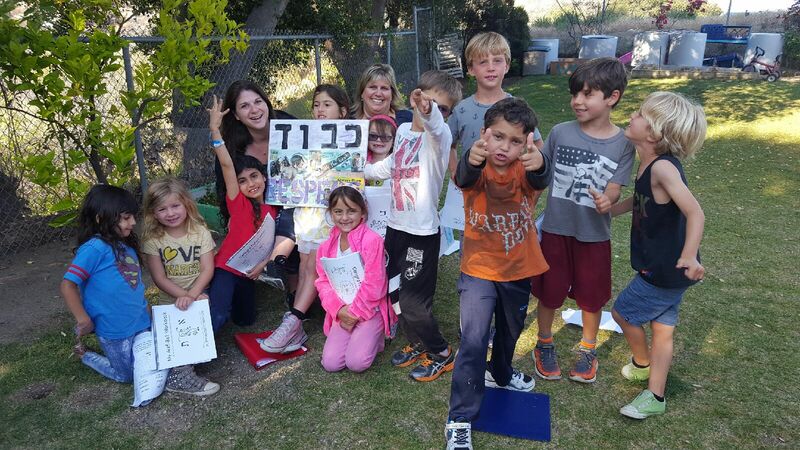 They learn about the meaning of Shabbat, the country of Israel and the purpose behind our Torah. A big part of the curriculum is a more in-depth look at home and community celebrations of holidays via symbols, customs and traditions. There is an introduction of blessings, such as the Barchu, Songs of Praise, the Shema and holiday specific blessings. 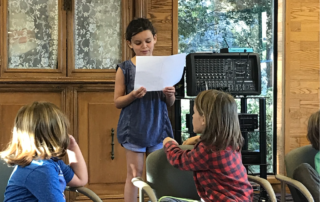 They will learn the next level of Hebrew, while continuing to build upon their vocabulary, through introduction of writing of the Aleph Bet and the vowels. 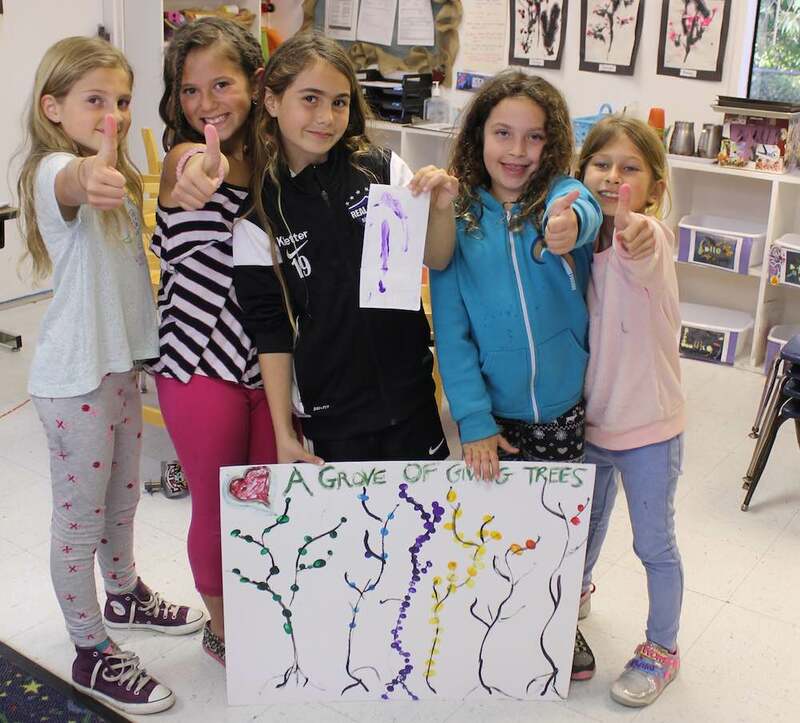 Finally, Tikkun Olam and Middot lessons are thread throughout the year. 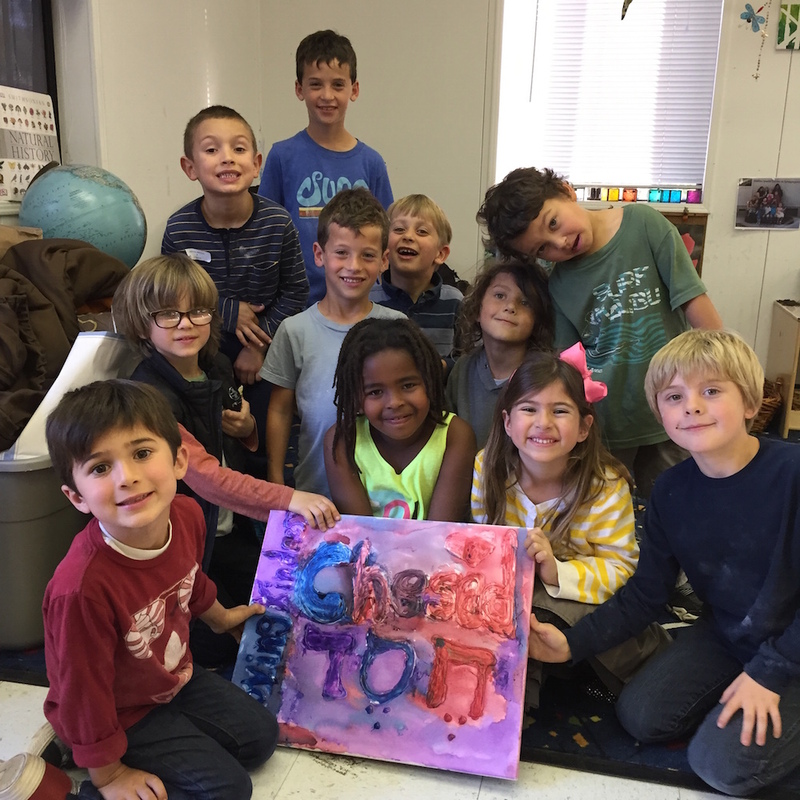 Along with reiteration of holiday celebrations, the third grade class is provided a more immersive program related to the meaning behind the celebrations at a more mature level. 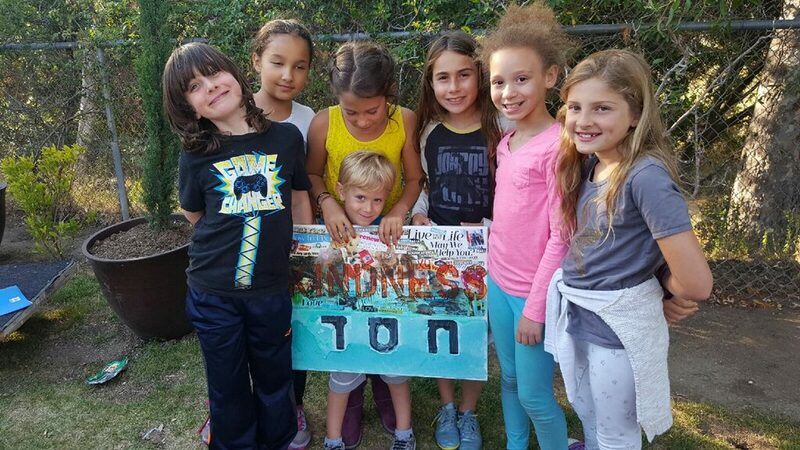 There is emphasis on Bal Tashchit (why we must protect trees, animals and the environment), Derech Eretz (respect and our treatment of people) and Shmirat Ha’ Lashon (how words can be hurtful.) 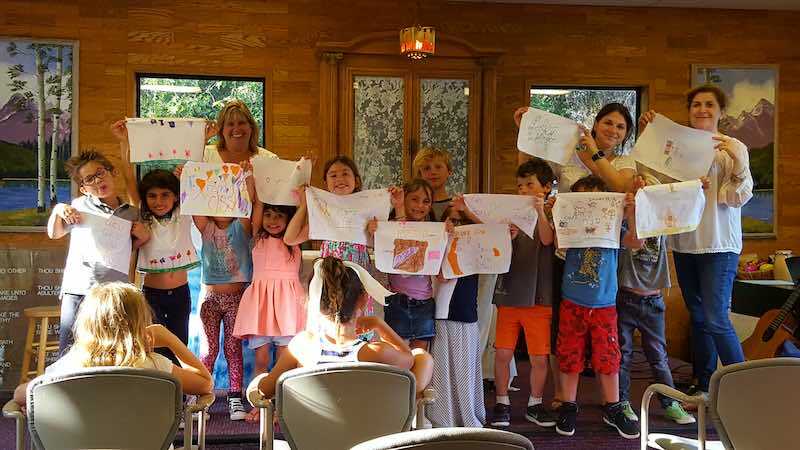 Torah study takes it up a notch, as they learn specifically about Exodus and the Ten Commandments & Mount Sinai and how it can relate with our lives now. With Hebrew they develop a basic Hebrew prayer vocabulary (understanding the introduction of significant blessings) and continue to build a modern Hebrew vocabulary. 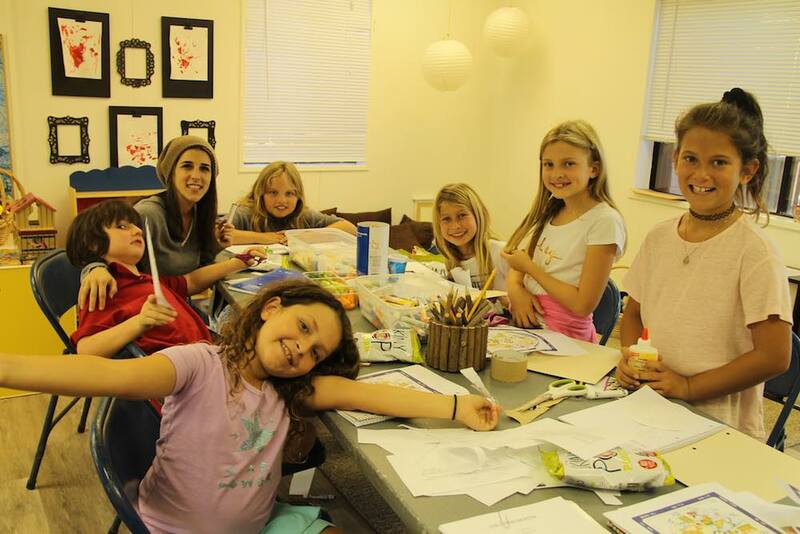 Fourth graders will learn the Hebrew months and the corresponding holidays, customs and traditions. They will become proficient in various significant blessings, including the Shema & Ve’Ahavtah, Hatikvah, Havdallah & holiday blessings. The religious concepts introduced are community, what is a brit and the Temples, both the history and significance. In Torah practice, they will begin to learn the Jewish names of the Torah, our forefathers and mothers and be introduced to the Mishnah. 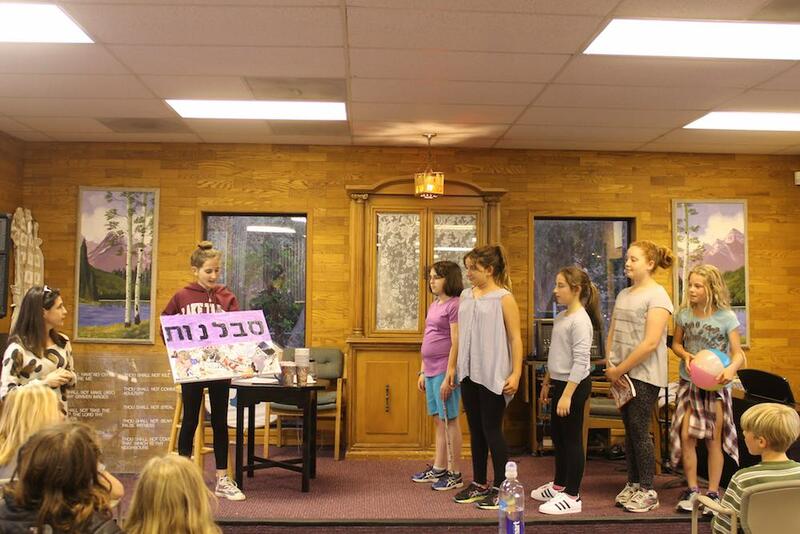 They will continue to learn about Israel, their major cities, history and modern attractions. 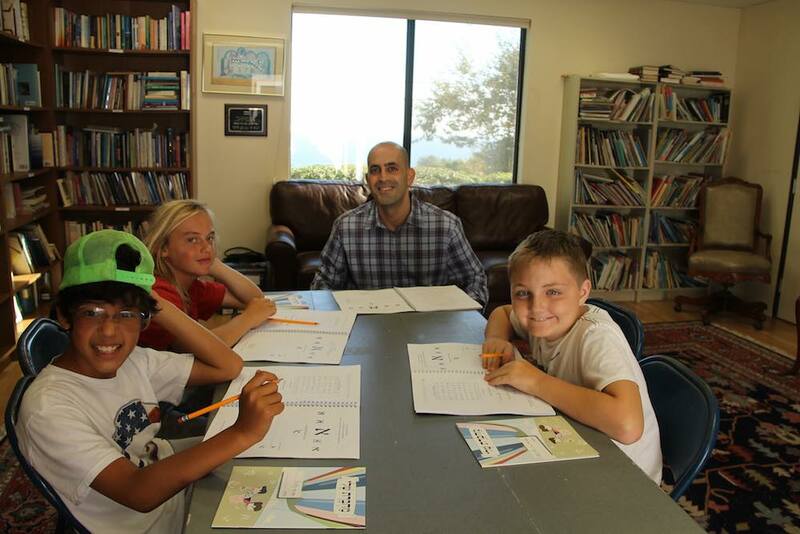 The fourth graders will improve upon both the reading and writing skills of Hebrew, and develop a broader modern Hebrew vocabulary. 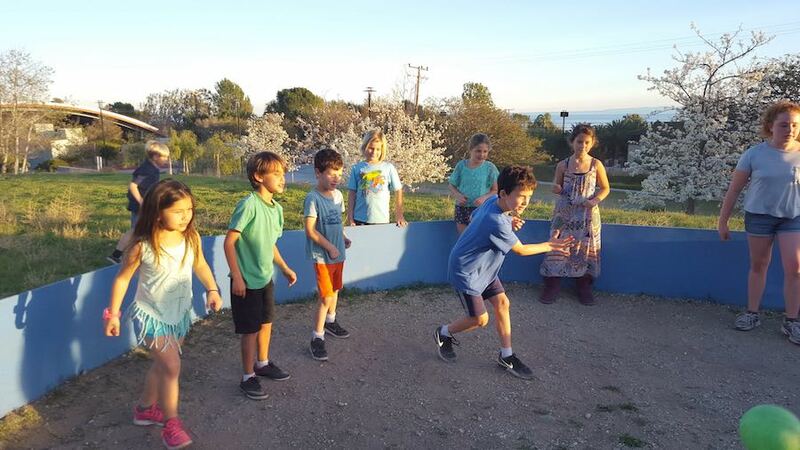 In fifth grade, the kids will build their Jewish life-cycle understanding, as a guide or path of life. This involves learning of various Jewish life-cycle moments, including Brit Milah, Bar/Bat Mitzvahs, marriage ceremonies and Shalom Bayit (Peace in the home.) They will review and reinforce the names of Hebrew months and their holidays, begin their work on the Amidah and Torah blessings. 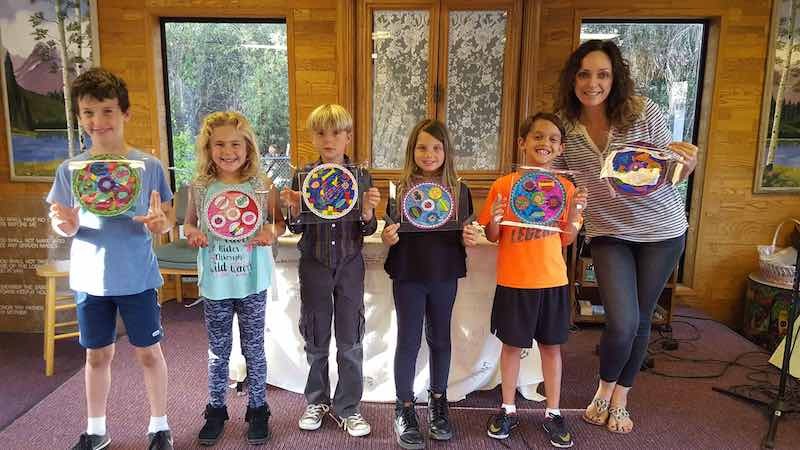 Additionally, they will continue learning the Hebrew names of the Books of the Torah and highlights from the Book of Genesis, concepts, values and events in the Book of Exodus. 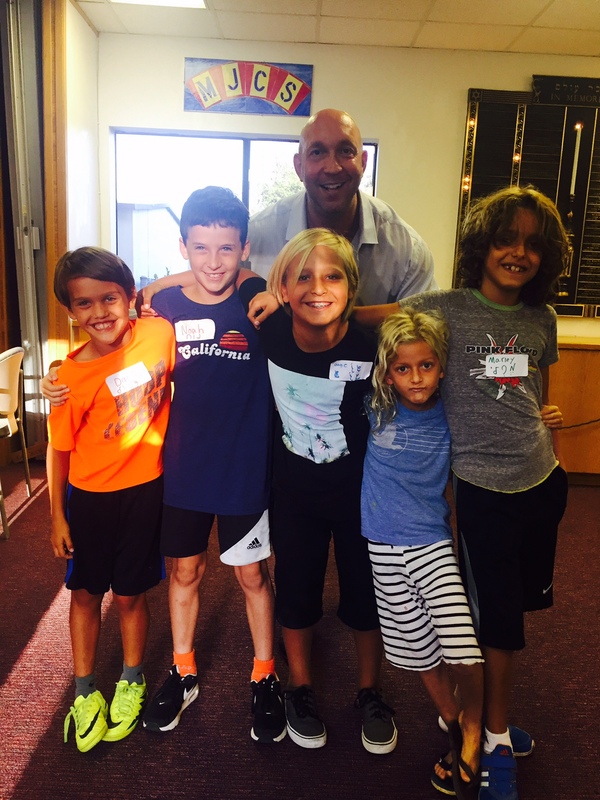 For Hebrew they will focus on reading fluidity, and continue to build a vocabulary from prayers and modern Hebrew. In studying Israel, they will learn more of the meanings of the Jewish state and identify the three regions of Israel and her major cities. 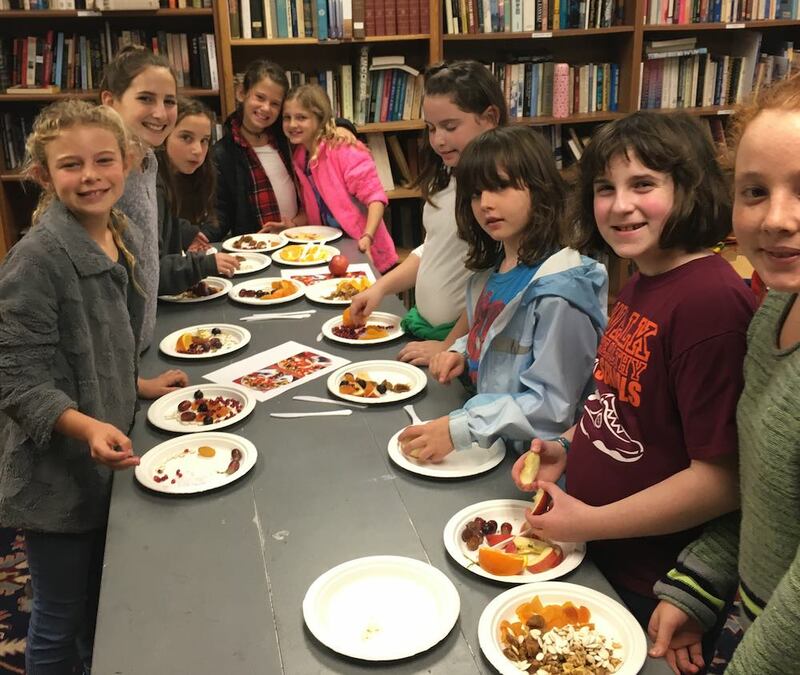 In Sixth Grade, while exploring “what does being Jewish mean to me,” they will learn Jewish History study, they will learn about Medieval Europe, the Sephardic Diaspora, and US Jewry in the 1800s. They will learn of the meanings and significance of Israel, a Jewish State – the connection to the land – biblical, historical, and modern. Further, they will learn of the religious and cultural diversity of the peoples living there, and the achievements and innovations of modern Israel. Hebrew education will take an advanced focus on reading and comprehension, and continue to build a modern and prayer vocabulary. Although there will be a light review of holidays previously studied, the focus will be on the holidays of advanced meaning, High Holy Days, Yom Ha’Atzmaut & Yom HaShoah. The blessings that will be taught are the Haftarah, Torah, Aleinu and Adon Olam. 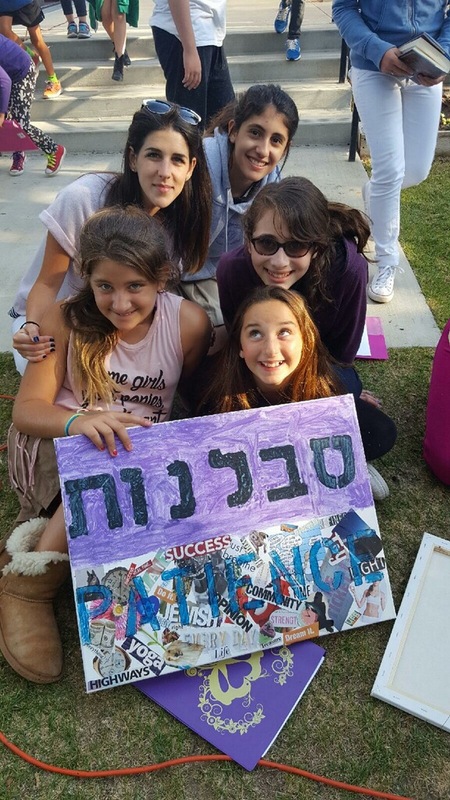 The Seventh Grade curriculum consists of projects and lesson plans meaningful to students about to become Bar or Bat Mitzvah. 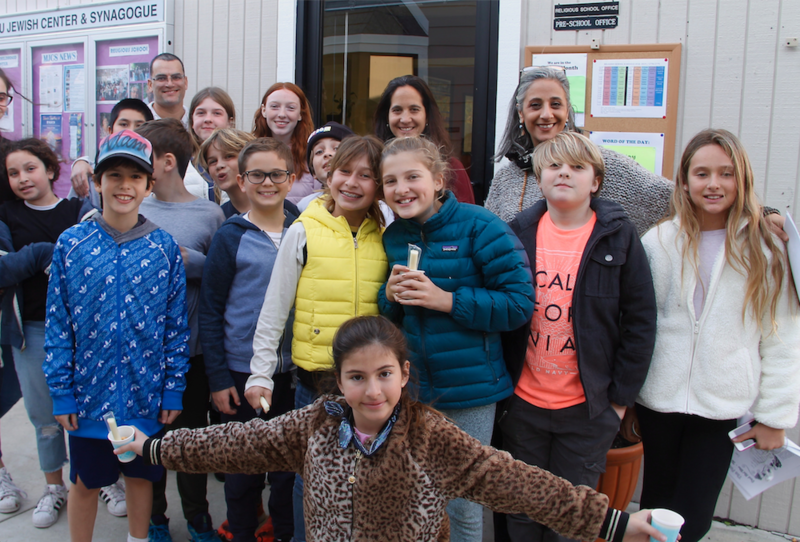 The year begins with a 7th Grade family service, where the Rabbi and The 7th grade combines an immersion curriculum of bar/bat mitzvah preparation with ongoing study of Torah and Jewish ethical texts. 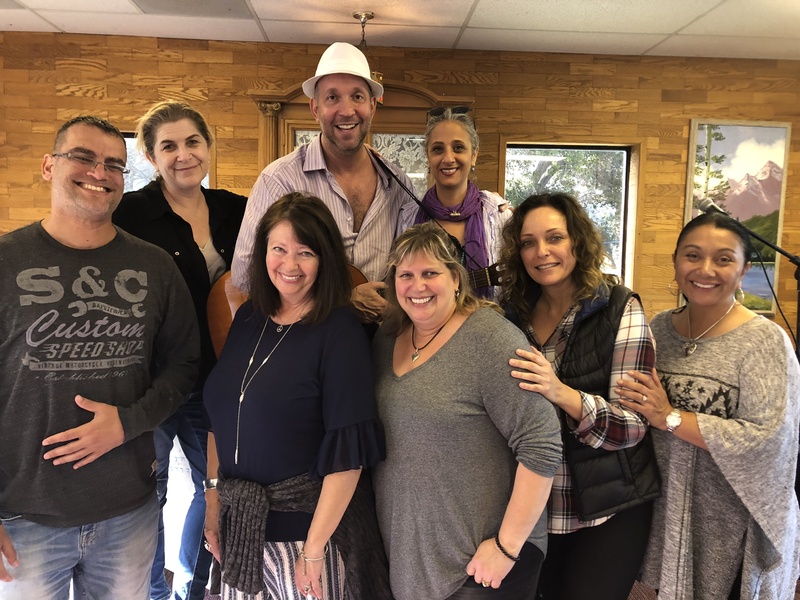 All students spend focused time with Cantor Gindlin, practicing torah reading and prayer, as well as Hebrew instruction that is geared to an individual level. The Rabbi personally teaches Torah study, Jewish prayer, and leads each class in a discussion of Jewish values. 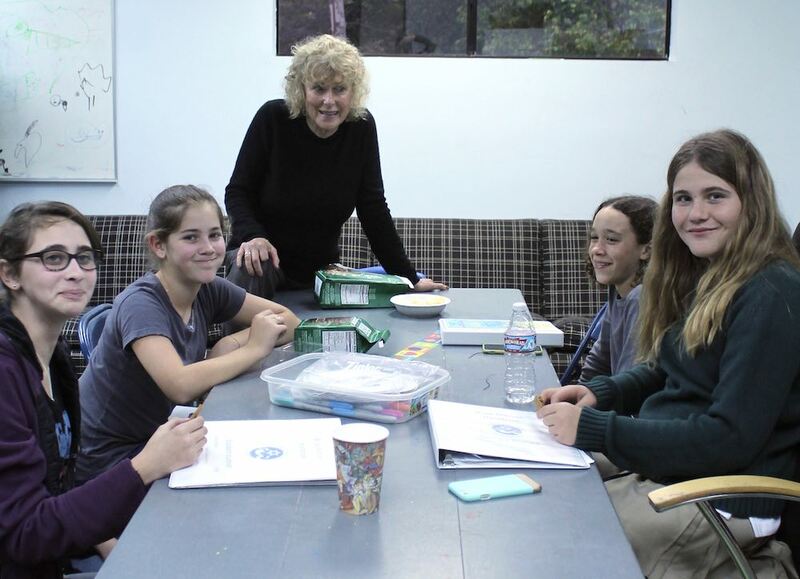 Every Tuesday, from 3:45 to 6:15 pm, teens 8th grade and above can work at MJC&S Religious school as Madrichim, which is Hebrew for teacher aides. 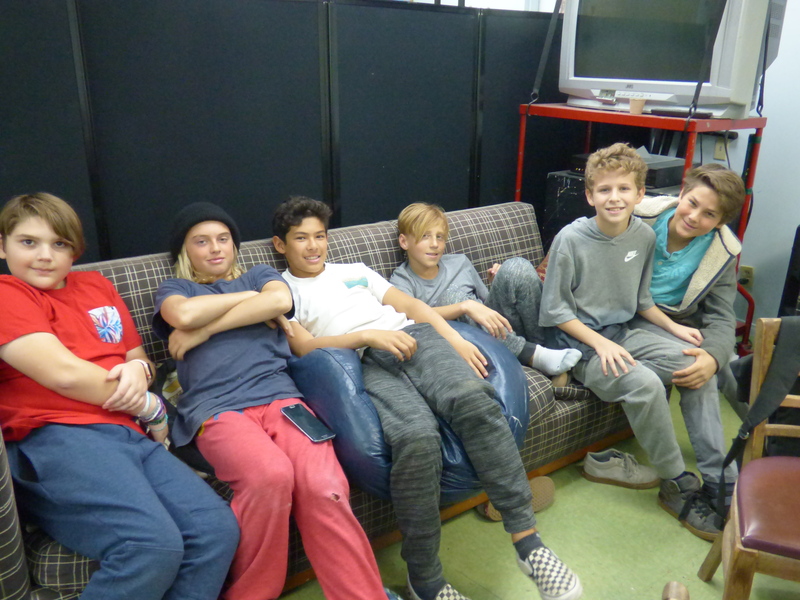 The Confirmation Teen program meets from 5:30 to 6:15, with teacher Itai. Both are a fun and meaningful way to keep your teen connected to their Jewish roots. 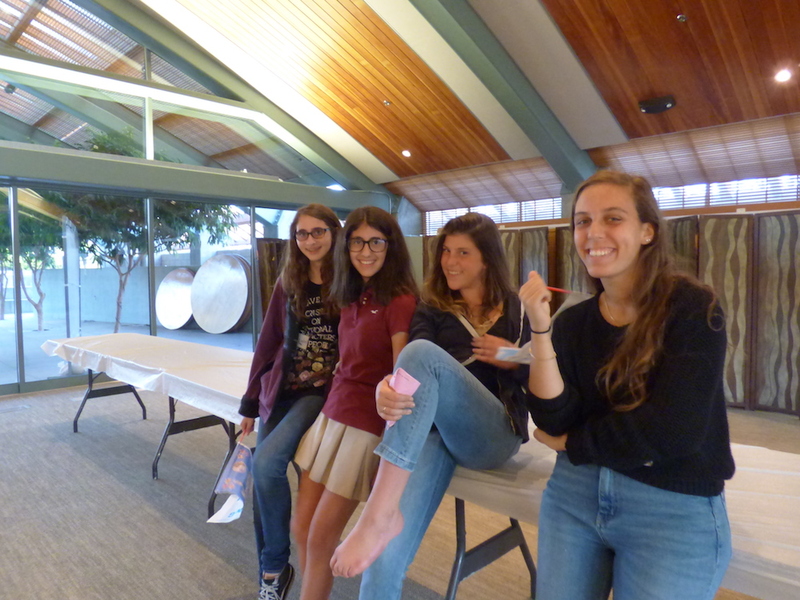 With a Madrichim program, our teens have a space to develop a peer community and experience social opportunities, while gaining skills that they can use beyond the synagogue. 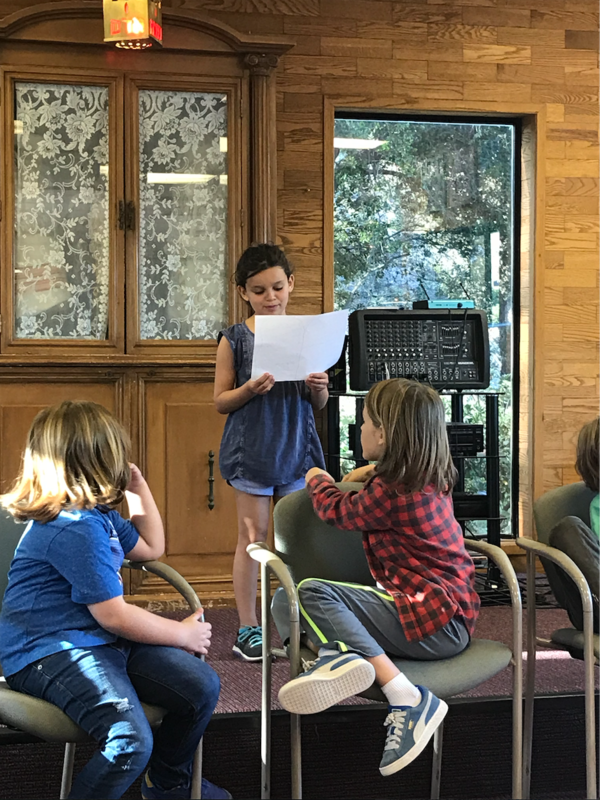 They will feel empowered and take on important leadership roles and feel a sense of being needed, valued, and appreciated, while all along earning community service hours! 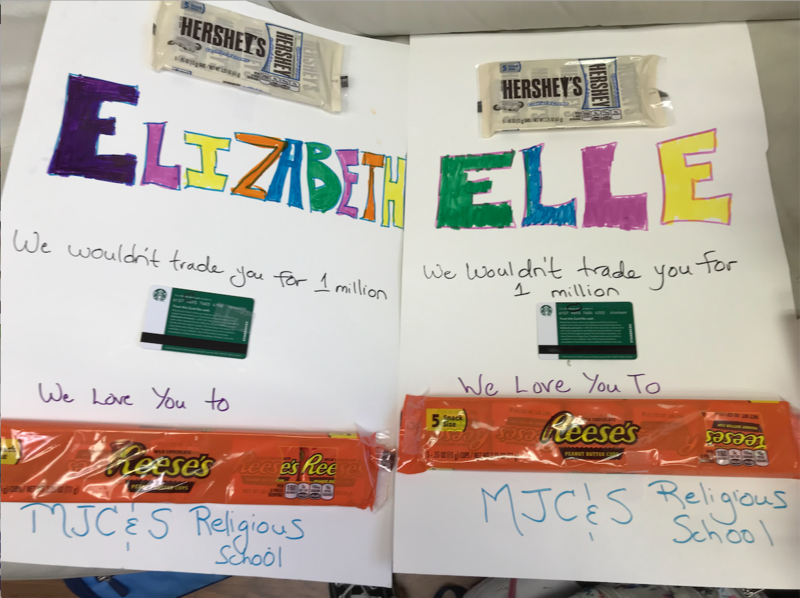 Confirmation is the next step following their Bar or Bat Mitzvah. 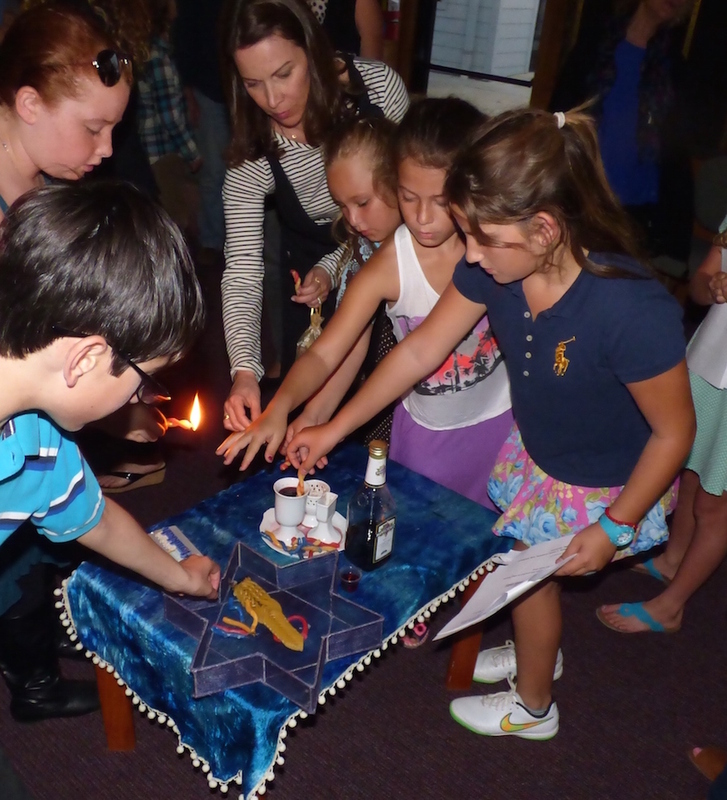 During the B’nai Mitzvah stage, the kids are recognized as “adults” but with Confirmation they will go through another rite of passage, with a sense of accomplishment, wherein they “confirm” their commitment to Judaism. At age 16 or 17 they are better equipped to make that kind of emotional and intellectual commitment. 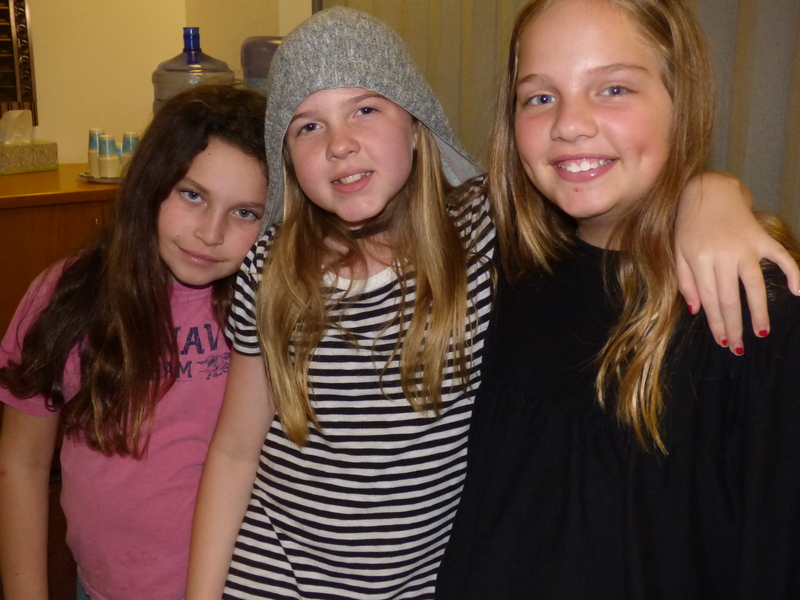 Most importantly, they will have a place that they can safely be and experience teen life with other like-minded teens. 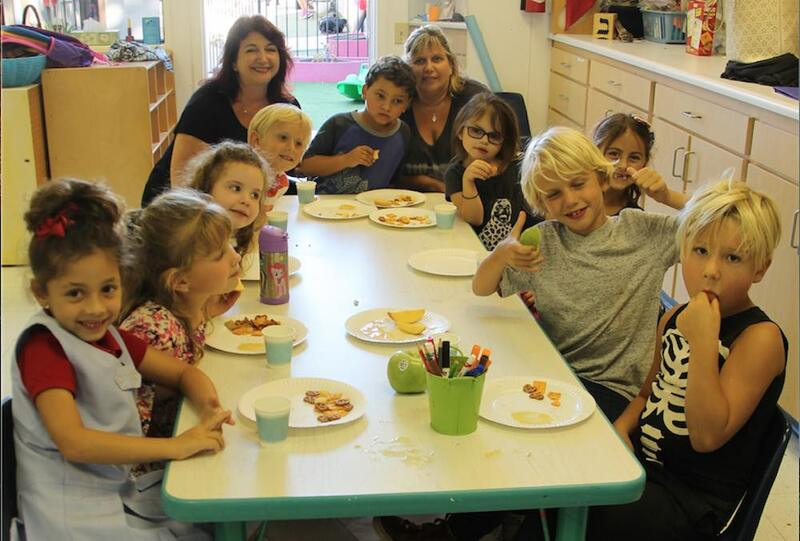 MJCS isn’t just a great school that teaches kids, they are an educational community that nurtures families.